Are your teeth loose? Are they worn? Do you have problems with your jaw joint (TMD)? Do you have difficulty, or does your jaw tire out or hurt when you eat hard or chewy food? Do you have more than one bite? Are your front teeth chipping or shifting for no apparent reason? Are your jaw muscles sore when you wake up in the morning? 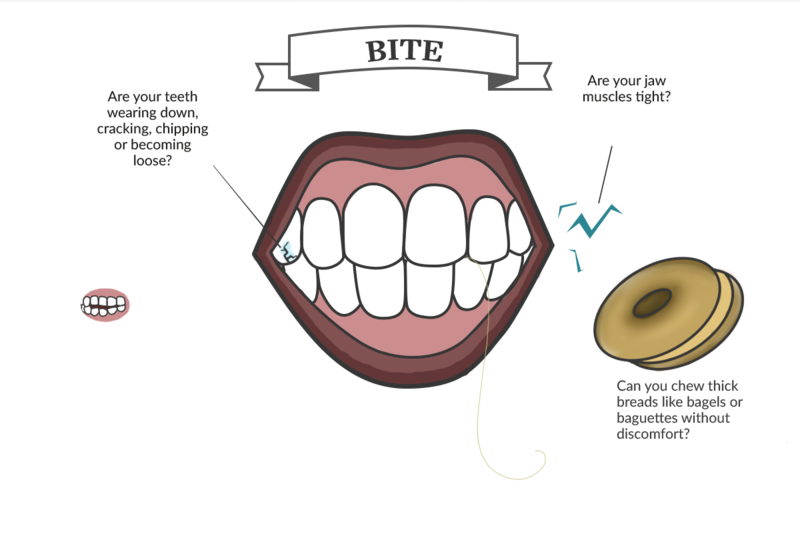 If you answered yes to any of these questions you may have a problem with the way that your teeth come together (“your bite”). We can help you identify this risk and deal with it in a conservative manner.